Taking pictures on a phone is something that even non-smartphones seem to be capable of doing these days. However, there is something powerful about being able to take video. This is something that's worth upgrading to a smartphone to be able to do, and the good news is that many Android phones are capable of taking video. However, if you've never taken any video with your Android phone, you might wonder what you will need to do in order to get things started. To get started, you just need to open up the Camera app and flip into the video mode. Make sure that while you're getting ready to capture video that you actually turn the phone sideways. There is not a portrait mode for video, so this could be the reason why you were never able to take video before. As you begin recording video, you might wonder about quality. The quality of your videos will be dictated by the overall quality of your camera. If you have a higher end Android phone, your videos are definitely going to be pretty crisp. on the other hand, if you have one of the lower end video-enabled Android phones, you will not be able to take stunning video -- but you will still be able to make decent clips that can be sent via MMS messaging, you know. Taking video is one of the top reasons to go ahead and max out your phone's overall SD card capacity. This means that if your phone can afford a 32GB SD card, you should definitely get one. Video takes up even more space than pictures do, and you can fill up a small SD card fast if you're not careful. The good news about this is that as time passes, the higher capacity cards go on sale a lot more often. This means that you will be able to pick up a 32GB SD card without too much fuss. Chances are also good that the capacity for SD cards will go up even more, to the point where a 32GB card will be considered small someday. Now, if you're someone that likes to stay organized, you might want to get a bunch of smaller cards that are just devoted to your videos. This can be a good option if you need to take video for business, but you also want to take videos of you and your friends out on the town. That's definitely a time where you don't want to mix the videos together! Sharing the videos that you create is just the next logical step. Thankfully, you already have an app for this -- it's within your Gallery app. 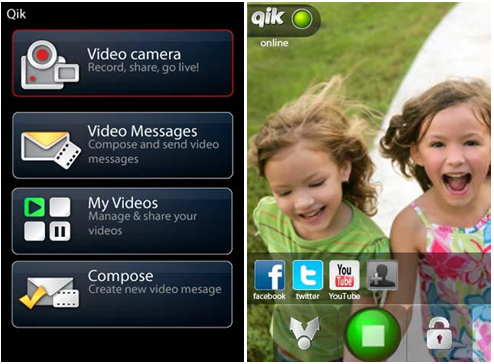 You get the opportunity to share your videos directly from the app. All you have to do is go to the video that you want, hold the video until the context menu comes up, and then select Share. From the Share link, you'll have a few options to choose from. You can go with getting your video on YouTube (as long as it's under 10 minutes, of course! ), or even going to put your video on Twitter. It's just a matter of figuring out where you want your video to go. If you're really trying to share with your friends through MMS, you will need to make sure that you focus on a lower quality setting than if you were going with YouTube. Overall, there's something interesting about capturing a slice of our collective lives with video. The handy nature of Android means that you should have no problem really capturing all of the things that matter to you -- don't miss a single moment!